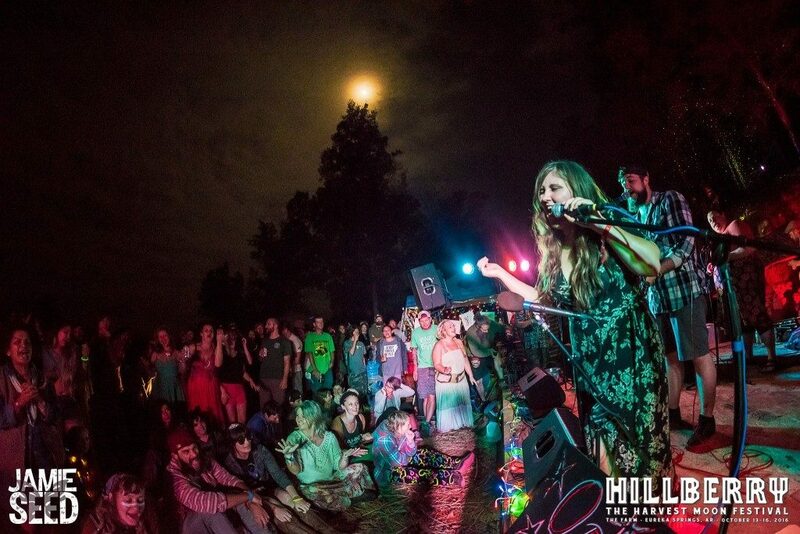 Hillberry Harvest Moon Festival is THE festival to be at the weekend of October 12th-15th. 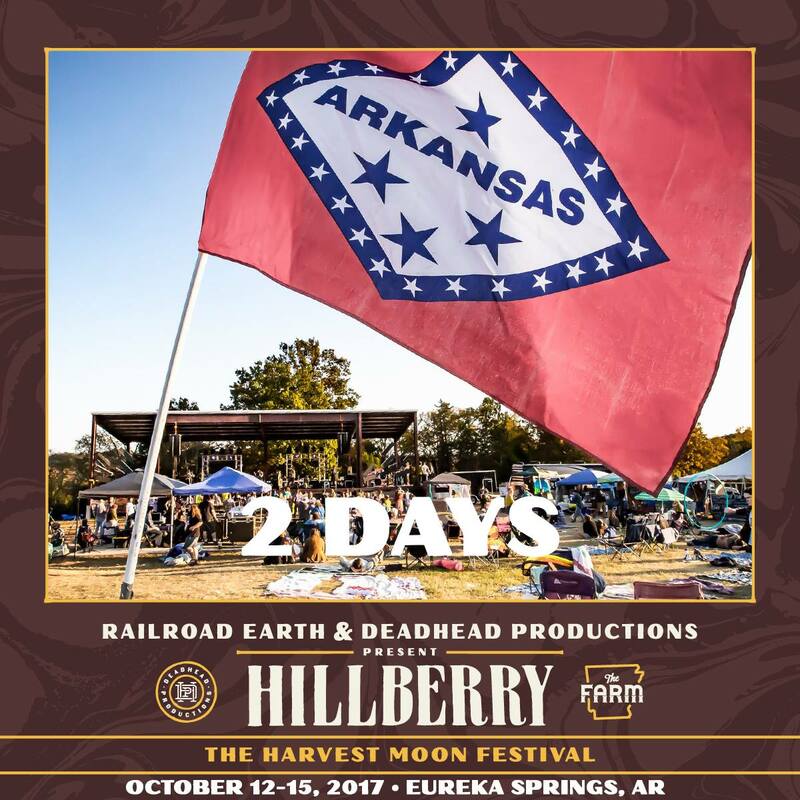 Presented by Deadhead Productions and Railroad Earth, Hillberry happens at the unique private land dubbed The Farm in Eureka Springs, Arkansas. Graced with the best in Americana, Bluegrass, Folk, Soul and more, Hillberry’s lineup is every Bluegrass lover’s dream. The weather will be perfect, the camping plentiful and the good vibes, music and love undeniable. Grab your tickets here and we will see you in just a few DAYS, Harvest fam! Even though the entire lineup is incredible, here are 6 acts you do not want to miss at this year’s Hillberry. While you’re reading and packing for this year’s festival, jam this amazing #Hillberry2017 playlist made by the one and only Jamie Seed. Mountain Sprout is a wild, hard lovin’, pickin’ frenzy group offering the best fusion of Psychobilly sounds and Dirty Bluegrass made to please our string-yearning souls. This group of four lads brings a cheery humor to the vibe without compromising true musicianship. The group is not fond of covers and rip roars their original tunes through the crowd with absolutely no brakes. Find yourself kickin’ dust to authentic songs about smoking the devil’s lettuce, kicking back the sauce ‘til the early morning and any non-P.C. topics that come to their creatively genius domes. Don’t miss Mountain Sprout (Adam Wagner/Guitar, Nathan McReynolds/Bass, Kyle Young/Harmonica & Grayson Klauber/Banjo) on THURSDAY from 8:15pm-9:45pm on the Mainstage. Fruition has been on a hot fire roll all fall and if you have not had a chance to see this heart melting Hillberry-vet quintet, this weekend is your chance! The group just sold out Red Rocks with Hillberry Vet’s and players Greensky Bluegrass, so you know there are a force not to be reckoned with. This group of Portland based musicians creates an empowering sound to feel to, dance to, sing to and love to. If we said we might be a little obsessed, that is an understatement. Take our word for it and make a mental rsvp for their Mainstage late Saturday/early Sunday set from 12:40am-2:10am. The name says it all. This saucy Arkansas crew hailing from Fayetteville sure is a joy to witness live in action. Their Bluegrass, Folk and Americana sound is infectious and their overall vibe and attitudes fuse hand in hand with their strummin’ ‘n pickin’. 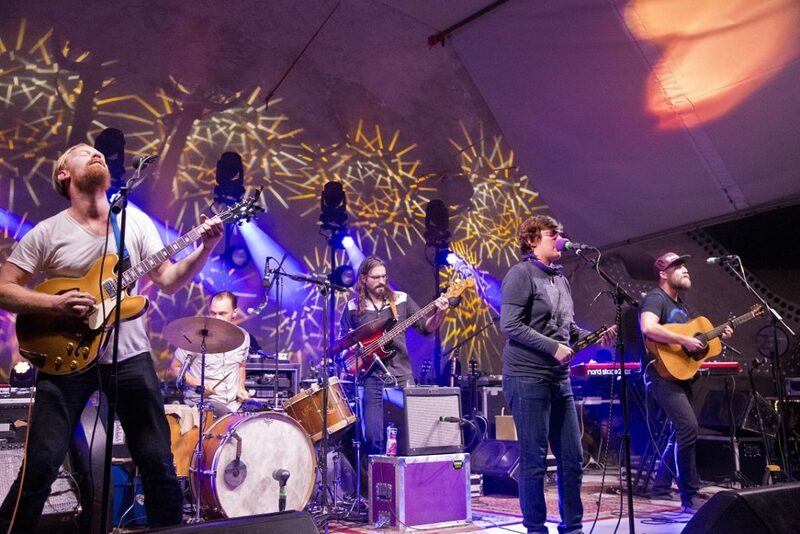 Drawing influence from some of the genre’s best, The Avett Brothers, Yonder Mountain, Old Crow Medicine Show and Trampled by Turtles, Arkansauce is truly making a name for themselves these days. Show the home state crew some love and catch their set Saturday from 2:25pm-3:50pm on the Mainstage. Opal Agafia & The Sweet Nothings is a heart-warming force to BE reckoned with. This rising Arkansas Americana Roots/Folk band sprinkles a heavy dose of soul and power into their delicious sound and the lead vocalist and songwriter, Opal Agafia, is the cherry on top! Composed of a fiddle, mandolin, guitar, dobro and upright bass, this full string band is sure to turn you into a new fan at Hillberry if you are not one already. Their refreshing yet comfortable sound penetrates the core of traditional backwoods music and raises concerns for the past, present and future of our earth by blending multiple genres and tying them into one sweet, beloved sound. They play a special late night campfire set Saturday night/ early Sunday morning from 2:30am-3:30am, so make sure to stay up and check them out! Dirtfoot is one of those live shows you never forget. They are hometown heroes at Wakarusa, Highberry and the famous Chompdown breakfast at both of these festivals. Fusing Americana, Folk, Gypsy and Country, these guys sound is what we like to call ‘Swamp Step’. Dirtfoot gets DOWN, down and down some more–their ingenuity and creative flow in their performance is nothing short of incredible. We once witnessed a member of Dirtfoot playing an old tin can with his armpit sweat at Wakarusa 2015…need we say more? Do not miss their set Saturday on the Mainstage from 4:30pm-6:05pm. Hailing from Belleville, Illinois, Old Salt Union brings the gusto of a bluegrass band mixed with the fervent zest of an American Rock ‘N Roll band. Reminiscent of Old Crow Medicine Show and Yonder Mountain String Band, Old Salt Union brings a fresh and innovative sound to the overly saturated Bluegrass scene these days. Composed of classically trained musicians that could play at your grandmother’s wedding, the backyard or a top of the line music festival. Be sure to catch this quintet’s Mainstage set on Sunday from 4:50pm-6:10pm.